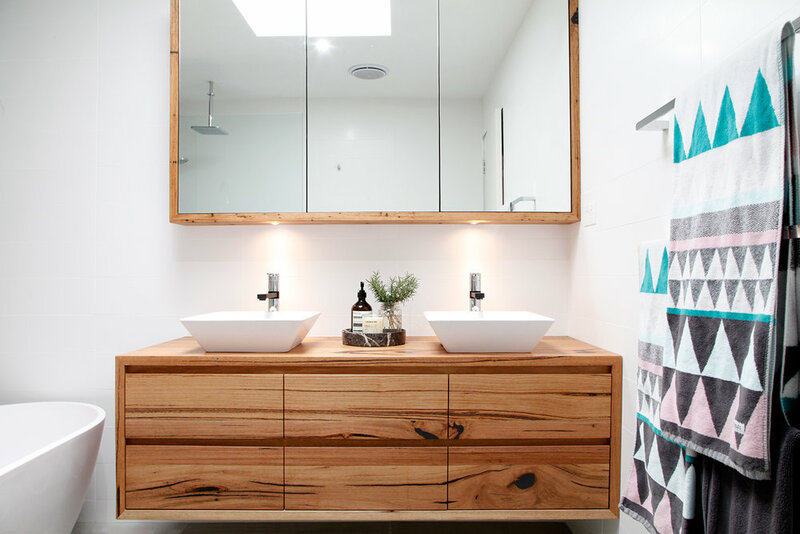 The beautiful character filled Iluka timber vanity would be the star of any bathroom. 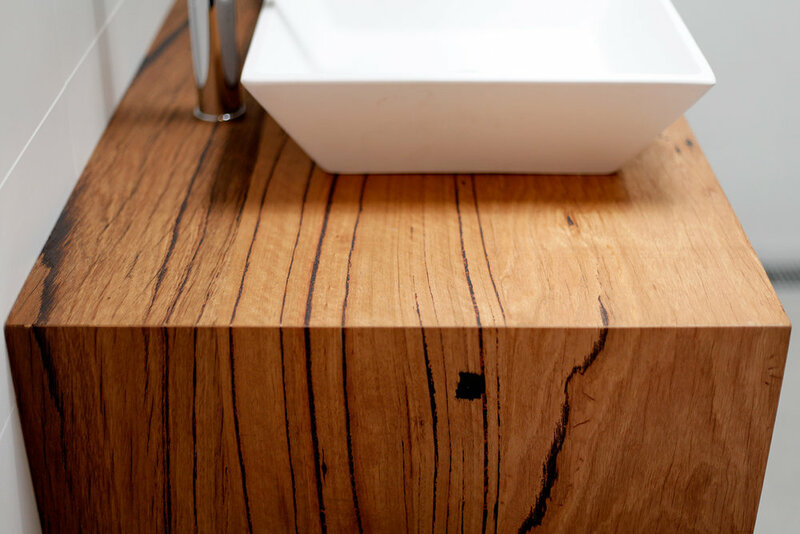 Made from solid recycled Messmate timber, this piece is rich with flowing sap and grain lines. The mid tone brown looks beautiful with the modern bathroom colour trends of white and gray. 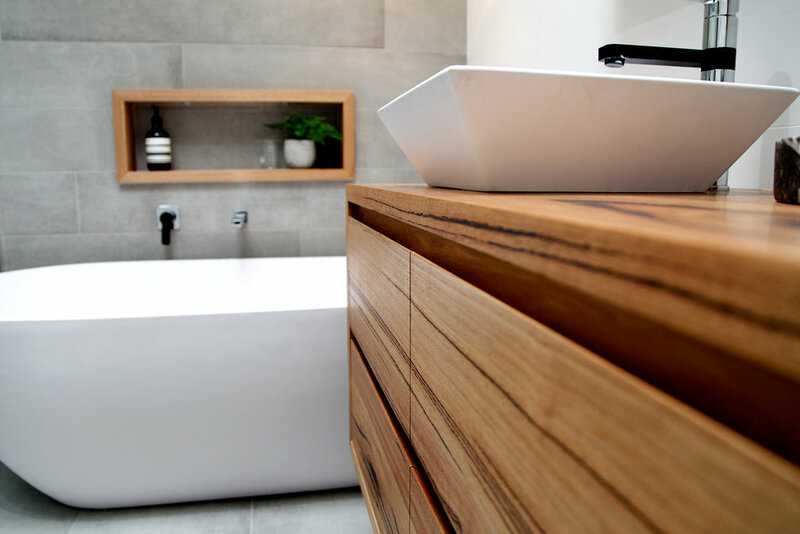 The solid timber adds that sense of warmth to an otherwise stark space to create that luxurary spa like feel. The Iluka wall hung vanity features soft close drawers and shadowline finger-pull handles to create a sleek look. The internal aspects of the vanity can be creates from solid timber, birch ply or melamine depending on personal preference and budget. Each vanity is designed and made to order to ensure the perfect fit for your space, plumbing and basin. The configuration can also be changed to suit your preferences for drawers, cupboards or open shelves. Click the link to find out more about what makes our vanities so special.